I almost forgot that I have a blog.... and the simulator world has completely changed, at least for me. The Connie Simulator has a new owner, the SimAcademy located at the restaurant "Runway 34" in Glattbrugg, next to the Zurich airport. 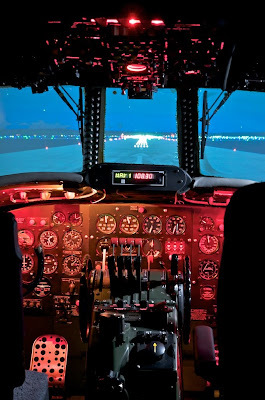 The Connie simulator can be booked for CHF 200.00 per hour. Children 12 and older are welcome too. Photos from a delighted customer.... with a professional camera. He almost used more time to shoot the photos than he was flying the sim. But the results are wonderful. This was the very first mission outsite the workshop. We had a meeting of the Event Coordinators of the SCFA (Super Constellation Flyers Assoc.) and they wanted to see the cockpit in real life. 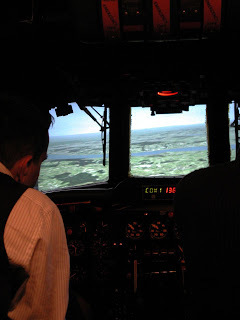 For me it was a test how everything works because it is planned to have the simulator on various events and airshows. The test succeeded very well and I think there are no problems to start the new season. 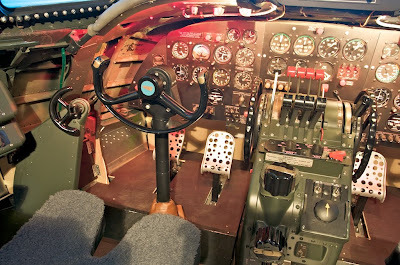 Now we don't have "only" a Super Constellation, we also have a simulator for all those who want to try flying themselves. Wood glue is an amazing thing. If you do it right, it is more stable than the wood itself. I made a fixture from an old board and two slats to bend the first sheet. Then I glued the sticks on that sheet. One hour later I glued the second sheet on top of the construction and used a lot of clamps to press it together. And another hour later the door was almost finished. Painted and with all the necessary stickers, it looks almost like the original.... just a bit smaller. 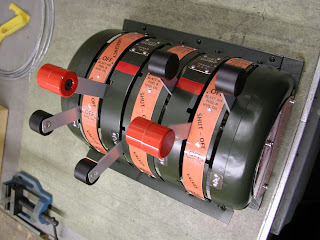 The fuel dump and shutoff panel is finished and already installed. I had to make the levers because they were missing. 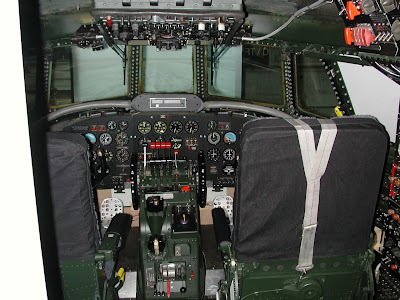 Or more correctly... it was too difficult to remove the original levers from the airplane. However, I think it came out quite good. ...I hope so.... I always had the problem that the elevator was a bit jumpy. I had to move the stick quite a bit until something happened and then it happened too quick and too much. It felt like the elevator was sticking somehow. After a bit of thinking, I found the problem; the potentiometer travel was too short. The interface I use makes 128 steps at full travel of a 10kOhm potentiometer. But I only use about 20 degree of a 300 degree pot and this is after the calibration eight to ten steps. No wonder that my elevator reacts jumpy. I solved the problem like in the old days. A piece of fishing line runs around a wheel on the pot axis and if the wheel has the right diameter, the travel of 8cm makes 300 degrees of turn. I will see if it works when it is installed. The brown wheel by the way, is an original part from the Connie cockpit. 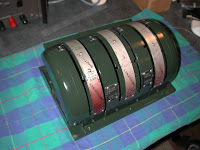 It was used inside the throttle console to guide the steel cables of the trim wheels. 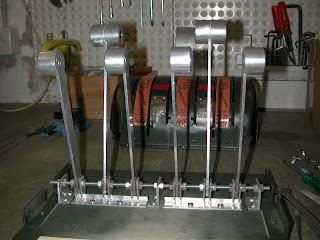 Today I noticed that it becomes difficult to work on the simulator since all the parts are installed. I have to crawl under the floor, bend myself around the seats... I think this is the way real aircraft technicians have to work. Not always an easy job. One of the last missing parts in the cockpit, the overhead fuel dump and engine shutoff levers. This part comes from a different Connie, N-105CF which was the first Connie the SCFA wanted to restore and operate in Switzerland. 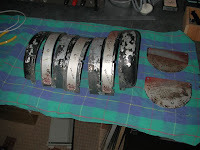 Unfortunately it turned out that there was too much corrosion for an airworthy restoration. The cover here is everything I got, the levers are missing and have to be made new.